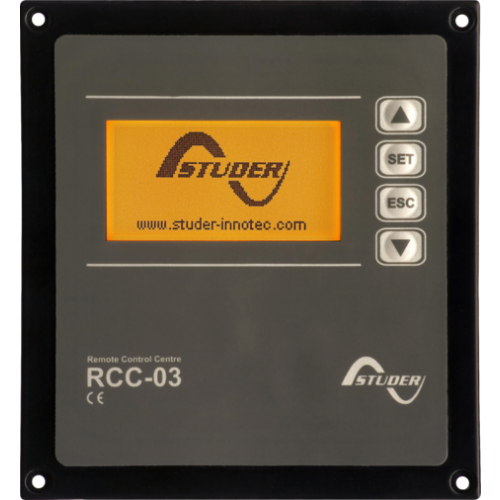 The RCC-03 enables the user to supervise the system and to completely adapt it to the needs through the many parameter settings available on the Xtenders, on the VarioTracks and on the VarioStrings. Thanks to its digital display, the RCC-03 provides clear and comprehensive indications on the state of the system in the chosen language. Supplied with 2 m cable.